A connection between heaven and earth is the eternal cycle of water, whose manifestations are thunder and lightning. These natural forces act often against human endeavor, to come closer the sky. In the Thirty Years War the tower of St. Andrew's church was not destroyed by cannon balls but in 1680 struck by lightning and burned down. 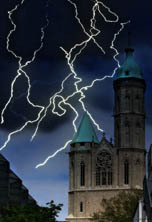 The phenomenon of lightning is still not fully understood until today. 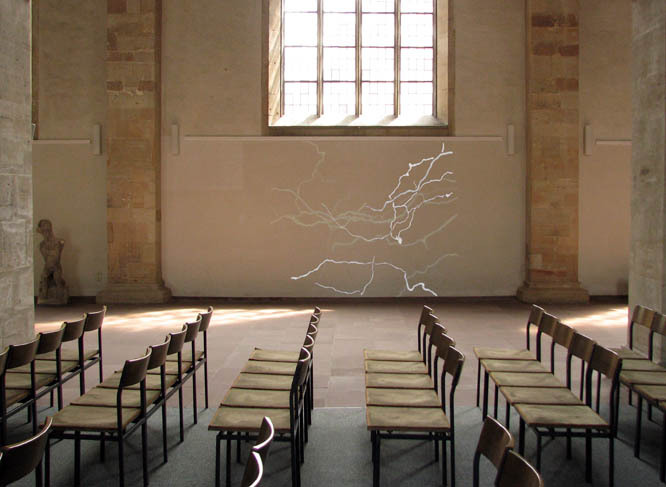 I use this natural phenomenon of lightning for a video projection of a real thunderstorm on the inner south wall of St. Andrew's Church. 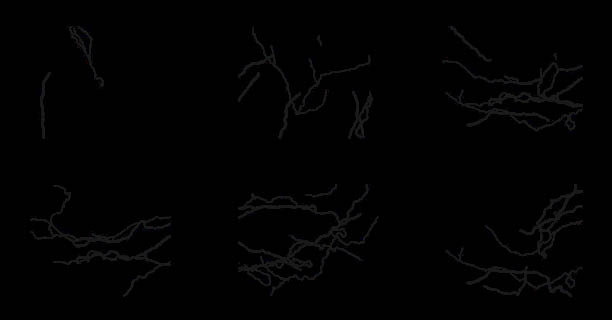 The flashes in the video became "heavenly signs", because I stretched the time in the video to about a hundred thousand times, so that the lightning pass slowly and overlap. The sound of the accompanying thunder can be heard unaltered and realistic. 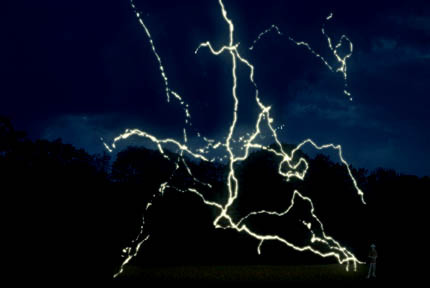 This creates "cracks" of light, bright "horizons", signs of nature in an only partially scientific characterized environment. constantly changing to maintain over time.